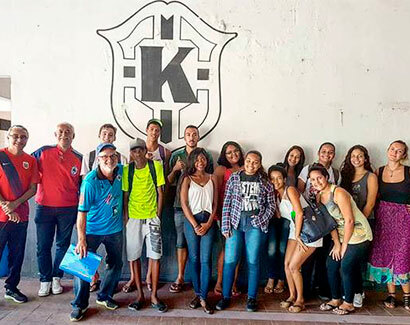 At Karanba, 15 eager young Brazilians met up to talk about professional dreams and how to reach them. We were happy to see that almost all of them had a dream to follow and motivation to study. Five of them wanted to become doctors and were not scared away by the many years in the lecture classes. Others were interested in Mechanics, Game design, Photography and Economics. In the last years we’ve had few recruits from Karanba, but this year the project has opened up to the community to do English and IT courses, besides football, which is the main focus. This is great for our recruitment, due to the participants being interested in studying and developing themselves academically. We look forward to start the process of finding courses and for the students to get enrolled at the schools.